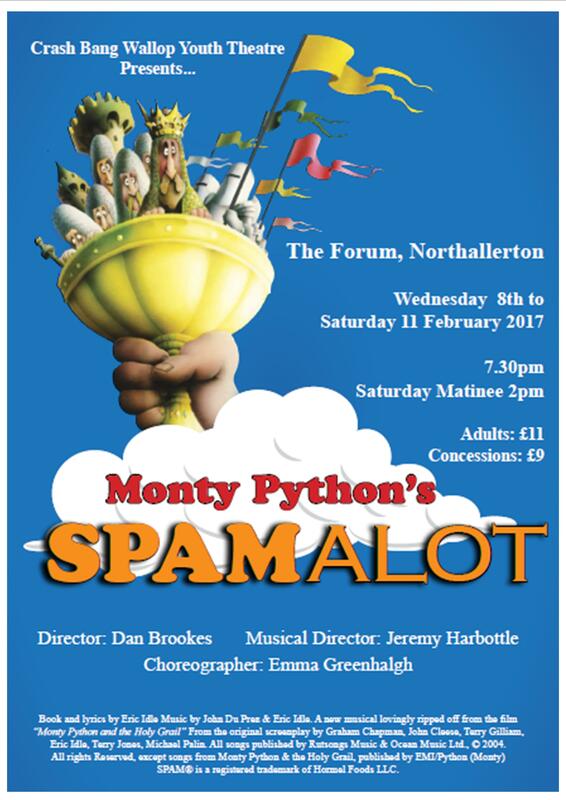 Banish the post-Christmas gloom of February by booking your tickets to see Crash Bang Wallop Youth Theatre’s take on Monty Python’s gloriously silly “Spamalot”! 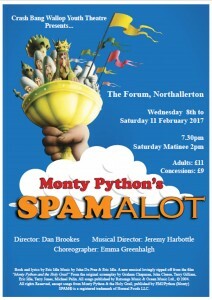 For the uninitiated, “Spamalot” loosely (very loosely!) follows the story of King Arthur’s quest for the elusive Holy Grail, via a series of, at times, apparently unrelated scenes, including the famous Fisch Schlapping song, the Knights who say Ni…..oh, and there’s a killer rabbit! And lots of singing and dancing! CBW Youth Theatre are well-known for their exuberant energy, professionalism and infectious enjoyment, apparent throughout all of their performances. 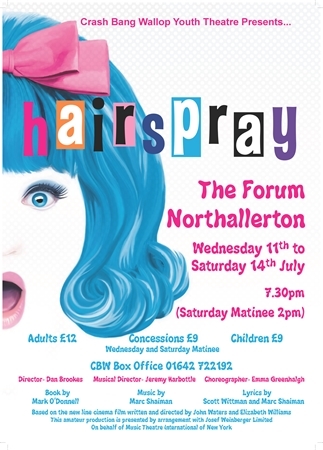 They have thoroughly enjoyed rehearsing this show, and can’t wait to present it to an audience. Get your tickets, relax, and let them entertain you!